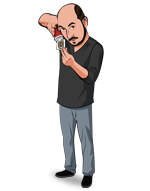 Today, when you order "The Bumblebees (DVD and Cards) by Woody Aragon", you'll instantly be emailed a Penguin Magic gift certificate. You can spend it on anything you like at Penguin, just like cash. Just complete your order as normal, and within seconds you'll get an email with your gift certificate. An Award Winning Routine! This is the comedy card routine that helped Woody Aragón win first prize at the International Day of Magic in London, 2011. The Bumblebees of the title are printed on the cards. Four bumblebees travel one at a time from one packet to another in the most mysterious fashion. Trick concludes with a smash finale as all four bumblebees end up squashed! 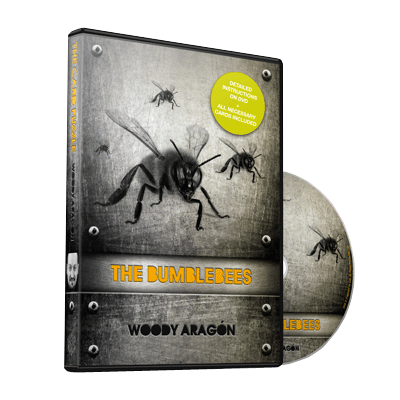 Comes complete with special cards and recording of Rimsky Korsakov's "Flight of the Bumblebees", the music that Woody Aragón uses in his performance.